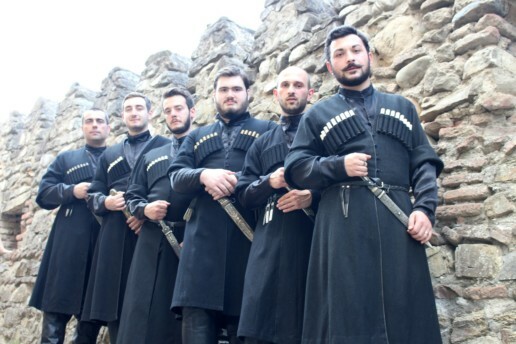 In the mountains and along the coasts of Georgia, the ancient country that straddles the Caucasus Mountains, songs have echoed for centuries. Villages and regions developed their own distinctive approaches to melody and harmony, to style and timbre. These songs ring on, finding new life in the rich voices of Iberi. The six-person vocal and instrumental ensemble channels Georgia’s multitude of sounds, exploring the emotional potential of age-old polyphony and traditional instruments. These are songs so beautiful, they were launched into space on Voyager 2’s golden record and declared an intangible cultural treasure by UNESCO. Songs reflect Georgian life, even as many Georgians move in cosmopolitan urban worlds, far from the farms, orchards, and rural celebrations that birthed the music. Iberi embrace every aspect of these traditions, including the toasts and feast songs that are intimately entwined with Georgia’s notoriously abundant hospitality, but also the urban folk songs, lullabies, liturgical chants, and historical ballads that still play important roles in everyday moments and grand occasions. The mood varies from dignified and somber to playful and fun, from earthy to otherworldly. 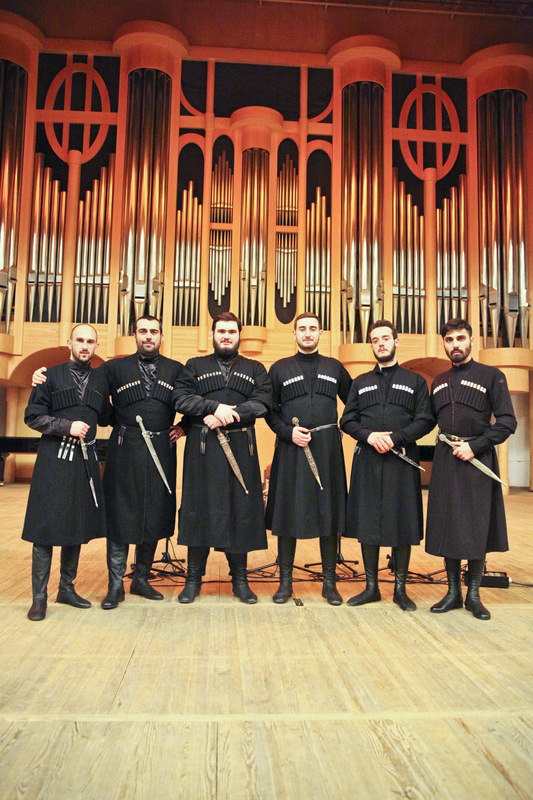 Taking their name from the ancient term of Georgia, Iberia, Iberi started singing together in 2012, at a rehearsal convened by former rugby player and lifelong singer, Bidzina Murgulia. Like the majority of Georgian young people, he had grown up surrounded by singing–”Music is everywhere here”–and gotten hooked. He was inspired to put his own, respectful stamp on centuries-old songs: “I longed for years to start my own choir, to bring my musical vision to life.” He finally decided to set his sports career aside and dedicate himself to a love of music. His collaborators and fellow singers soon became his fast friends, and warmth radiates from the group live. Part of that touch can be felt when the group takes the stage. 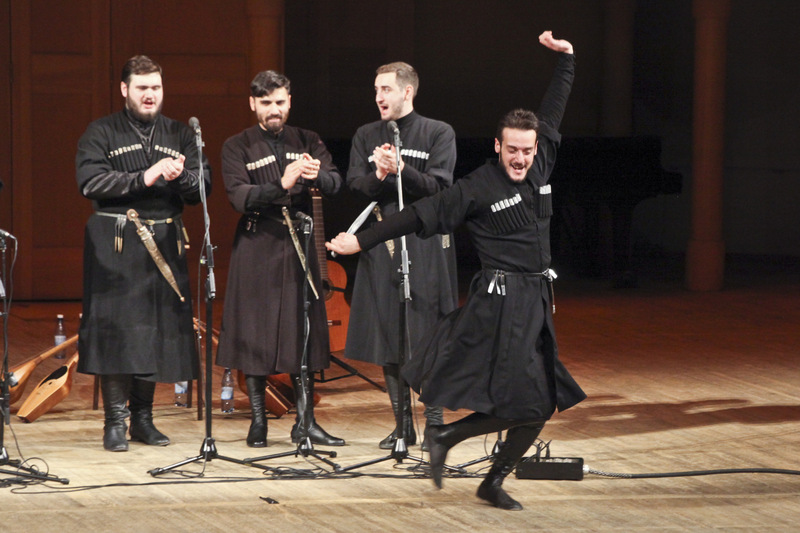 “We strive for a more extroverted, open hearted and cheerful stage presence,” Murgulia notes. “We really like explaining songs and getting the audience to sing along.” Iberi opens up Georgia and its songs to the world, bringing their vitality to festivals and concert venues around the globe. They're dressed like executioners but sing like saints. A 6-member polyphonic choir with sometimes slight but just right accompaniment. Utterly traditional and faultlessly so. Hard to imagine anyone not being uplifted by this music which is so living in tradition and such a perfect fusion of sacred and secular. From the Georgian choir you can expect the overwhelming polyphonic vocal beauty that will stay with you for a long time. Its concert at the Womex fair was an unforgettable experience for all visitors, and I knew right away that our castle park would be exactly the right place where Iberi's voices will start to sound perfectly. 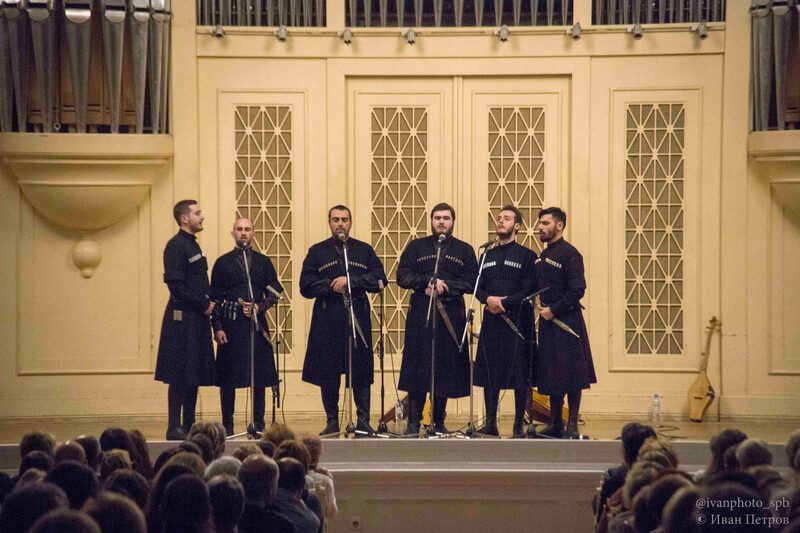 The last performer on the stage in St’Catherine Church was Georgian male choir – Iberi. 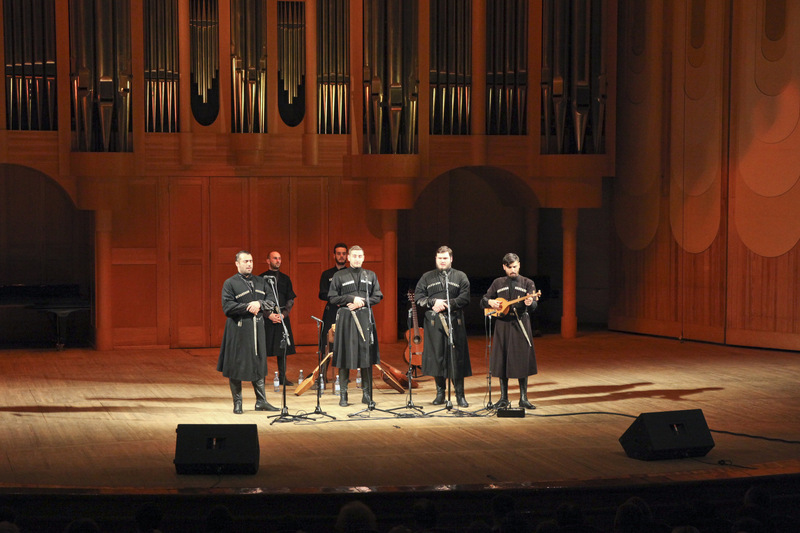 Artists keep the tradition of polyphonic a’capella singing, performing work songs, historical ballads and sacred music/anthem, present in Georgia for centuries. Most of the songs were made piano, and the atmosphere of the church added more dignity and seriousness to the music. every change in dynamics caused that song become more expressive and stirring. During the concert, the singers were telling stories about the places from which the melodies came from. The audience rewarded the band with standing ovation. It was probably because of the unquestionable magic of the Georgian choir, but also because of unexpected performance of polish hit song “Szła dzieweczka do laseczka” in Georgian way. Overwhelming polyphonic vocal beauty that will stay with you for a long time.